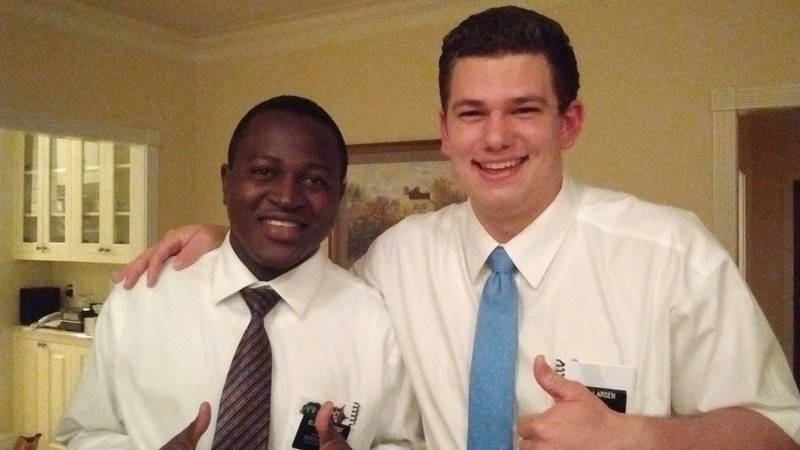 Elder Larsen Servin' in the South: Koreans Don't Have Facial Hair? Koreans Don't Have Facial Hair? Hi everyone hope you are all well! This past week was pretty good! Thursday, Thanksgiving was a good day! We were able to go and play some flag football! 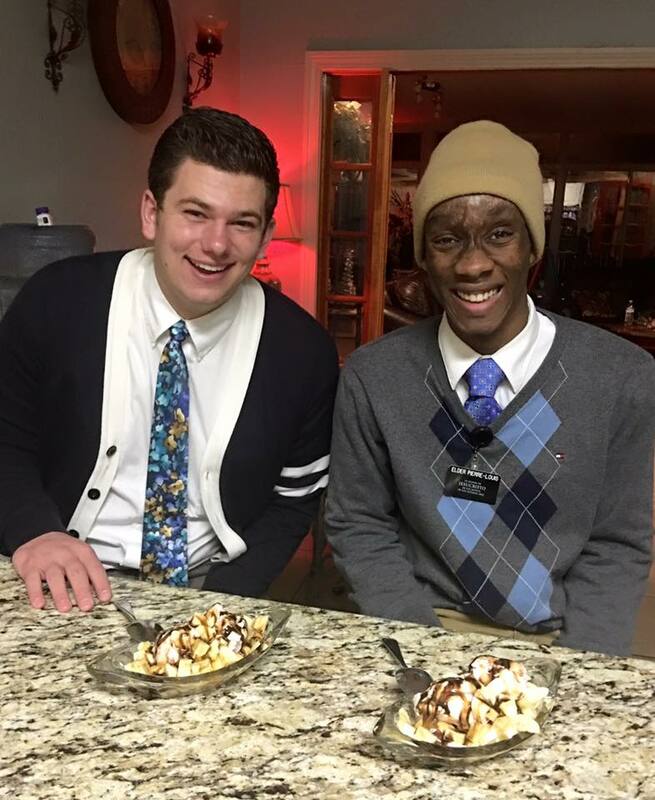 It was nice to get out and run a little bit, poor Elder Clement, he was dying the next couple of days because his legs were so sore from running! He was dead on his bike! We had 2 dinner appointments and definitely ate too much food! It was good we had 2 meals and they were both really good! The first one was more of a normal thanksgiving meal with just normal foods but the second one was more of a southern. They had pastas and BBQ meatballs and BBQ beans and all sorts of stuff but they still had normal thanksgiving foods too just the extra stuff! It was funny because Elder Clement had never had ham before and he hates eating pork. The lady who's house we went to just came up to him and put a fork with ham on it in his mouth hahahahaha I was dying! He didn't like it very much though. Thanksgiving Day with the Clements Family! Saturday we were tracting and talked to this lady and she said she wasn't interested but her church supported missionaries and had 3-4 missionaries of her own. As we were walking away Elder Clement and I just looked at each other and kind of chuckled. We should have told her we have 85,000!! We had a good week this past week! We had 2 people come to church on sunday! We tracted into this lady and her daughter and the daughter is 20, seemed super interested and told us she wanted to get involved like we are involved and she told us she would be at church. So sunday came and she showed up and brought her sister! The lessons in combined priesthood and relief society was about the sabbath day observance and when we called her later that night she told us she had requested from her boss that she have every sunday off so that was pretty cool!! It is transfer week and both Elder Clement and I are staying in Canton!! I hope I stay here for awhile. I hate leaving places! We got the tree and the decorations you sent! :) They were great! Our apartment is looking great now, good thing I learned how to decorate things! 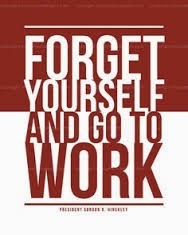 ;) It is set up in our study room, there is hardly any room in our poor little shack! But, we got our shower fixed today!! It has been so hot here, it's like 80 degrees outside!! I miss the cold! We have a dinner appointment and then we are going to help with the ward christmas float. They have a parade this weekend that the church is putting a float in! :) Yes, we will be in the parade! A cool wall in the Blues District! Downtown Canton Street at Christmas time! Love you thanks for everything!